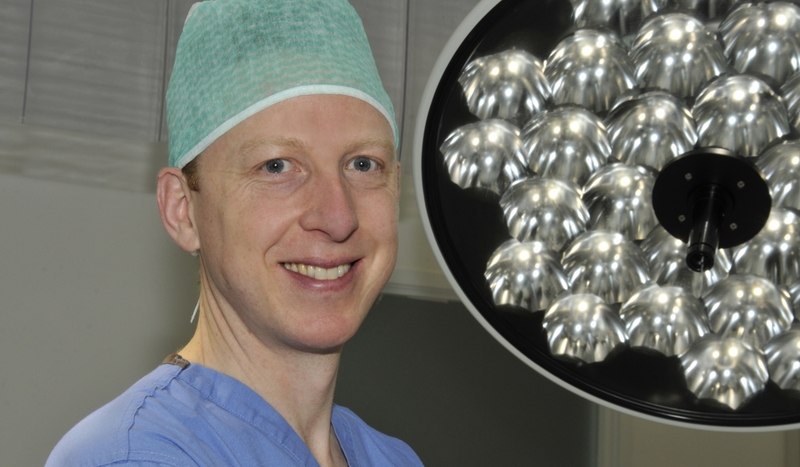 As a specialist in anti-reflux & hiatus hernia surgery, Mr Clarke follows current national and international guidelines (see resources) using keyhole (laparoscopic) techniques, with many patients able to be discharged the same day. What is gastro-oesophageal reflux (GORD)? This is a condition in which acid leaks from the stomach into your gullet (oesophagus). The valve (sphincter) between the stomach and gullet (oeosphagus) which normally relaxes to allow food to pass into the stomach and stops acid leaking back into the gullet, can become weak or relax inappropriately. This results in leakage of acid from the stomach into the gullet (oeosphagus). 24 hour pH / impedance studies – a thin tube is passed via the nose into the gullet (oesophagus) where it stays for 24 hours whilst patients eat and drink normally. This measures levels of acid reflux within the oesophagus. All patients being considered for surgery are advised to undergo upper GI endoscopy, as well as oesophageal high resolution manometry and 24-hr pH studies in order to confirm the diagnosis and assess the anatomy of the stomach and gullet (oeosphagus). The aim of surgery is restore the normal anatomy at the diaphragm (by ensuring that the stomach is lying within the abdomen and any hiatus hernia is corrected) and to reinforce the valve (sphincter) at the junction between the gullet and stomach. Surgery is performed with keyhole (laparoscopic) surgery. Five tiny incisions are made in the upper part of the tummy (abdomen). The operation involves closing any weakness in the diaphragm with stitches and then wrapping the top section of the stomach (fundus) around the lower end of the gullet (oesophagus) to reinforce the pressure valve (sphincter). This is known as a ‘fundoplication’ or ‘wrap’. The procedure normally takes less than 1 hour and takes effect immediately. All anti reflux medication can be stopped immediately following surgery. Some patients are discharged on the same day as the operation (daycase). Patients are normally ready to be discharged around 4-6 hours following surgery. You will be discharged with painkillers and written post-operative instructions. All stitches are dissolvable. The waterproof dressings are suitable for the shower and can be removed after 7 days. You are advised to drink fluids only for the initial 24 hours after surgery before commencing a mashed diet for the following 2-3 weeks. More solid foods can then be gradually reintroduced as tolerated. It is thought to arise as a result of weakening of the muscle of the diaphragm and/or increased pressure in the abdomen. Surgery is considered in those patients with symptoms or where there is a risk of complications relating to the hiatus hernia. Surgery is performed with keyhole (laparoscopic) surgery. Five tiny incisions are made in the upper part of the tummy (abdomen). The operation involves restoring the normal anatomy at the opening in the diaphragm (hiatus) by reducing the stomach back into the abdomen, closing any weakness in the diaphragm with stitches. In some cases the top section of the stomach (fundus) is wrapped around the lower end of the gullet (oesophagus) to minimise reflux and fix the stomach within the abdomen. This is known as a ‘fundoplication’ or ‘wrap’. The procedure normally takes upto 2 hours. All anti-reflux medication can be stopped immediately following surgery. Most patients are discharged the following day after surgery. You will be discharged with painkillers and written post-operative instructions. All stitches are dissolvable. The waterproof dressings are suitable for the shower and can be removed after 7 days. You are advised to drink fluids only for the initial 24 hours after surgery before commencing a mashed diet for the following 2-3 weeks. More solid foods can then be gradually reintroduced as tolerated although in some cases you may be advised to maintain the mashed diet for a longer period.